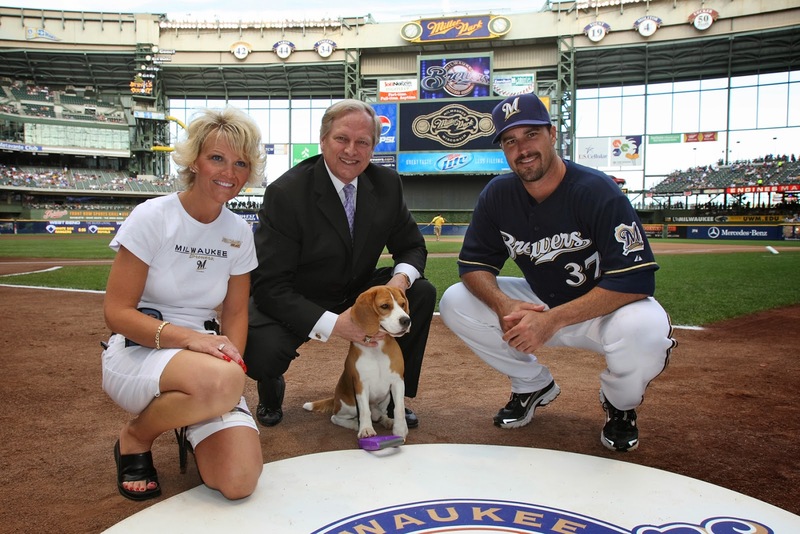 If you're a beagle lover, chances are you've heard of Uno the Beagle. 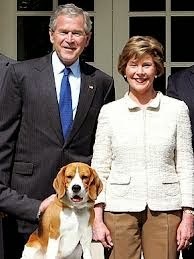 Uno is the first beagle to win the Westminster Kennel Club's "Best in Show." K-Run's Park Me in First (that's his fancy official name) won the prize in 2008. Uno is still the talk of the doggy world. This year he won "Show Dog of the Decade," an American Kennel Club contest on Facebook. And now, he's immortalized as a bobblehead -- for a good cause. Courtesy Angel on a Leash. 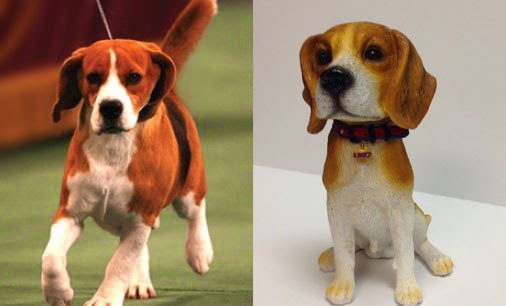 Angel on a Leash is selling the Uno the Beagle bobblehead for $20, and you can buy it on the Angel on a Leash website. Angel on a Leash is a charity that helps set up therapy dog programs across the country. After Uno's big win, he joined up with Angel on a Leash and started touring the country, visiting health facilities as he went. "He's been such a great friend of Angels on a Leash for so many years," said David Frei, the voice of the Westminster Kennel Club show and chair of Angels on a Leash. "He and his owner were great friends." Frei spent a year traveling with Uno around the country. They rode on a Macy's Thanksgiving Parade float, visited the White House, rang the NASDAQ opening bell and threw out the first pitches at a Milwaukee Brewers game and a St. Louis Cardinals game. He also visited hospitals and Ronald McDonald Houses everywhere he went. Frei told us one story that sort of encapsulates how special Uno is. When they went to Milwaukee, Frei offered to visit the Ronald McDonald House there, which did not allow therapy dogs. The interim CEO said yes. But when Frei and Uno got there they found a number of people who were not staying at the house. Turned out the CEO was going to use Uno to try to convince the board members to allow a therapy dog at their Ronald McDonald House. "Uno visited and did an unbelievable wonderful job," Frei said. "And about a month later the board approved allowing a therapy dog." Uno with David Frei at the Milwaukee Brewers game in 2008. David Frei said it's getting easier to convince people that therapy dogs are good for patients and residents at health care facilities. Doctors have been helpful with this. Frei said doctors are starting to take stock in the research that shows patients do better in the presence of a dog. And dogs don't necessarily bring any more germs than the people who walk into those facilities. "We continue to try to work to educate people and continue to let them know it's not what it used to be," Frei said. Uno, meanwhile, is living with his elderly owner on a 200-acre ranch outside Austin, Texas. He's older now, his face is white, but his owner said Uno still has that great personality and that bay people love. Uno's therapy dog registration has lapsed, but he still gets requests to visit. He also helps promote beagle rescue. "A lot of doors open for him because he's Uno," Frei said. To learn more about Angel on a Leash and how to become involved, head to their website, Angelonaleash.org . Saw that Uno bobbleheads were available but didn't realize sales supported a good cause. Very cool! Love Uno!